Your chimney has to withstand extremes of hot and cold, bearing the worst of the British winter but also the very high temperatures from within as the flue pushes hot gases upwards, away from the house below. Cracking and repairs become inevitable, (you'll know because damp patches will start to appear on the internal walls - especially with older houses), but the quality of the resulting remedial workmanship – from brickwork to repointing – must be of the highest standard to prevent the problem occurring again. 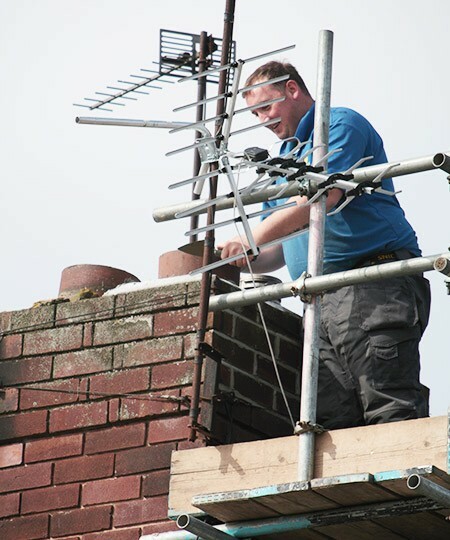 We have over 30 years of experience carrying out repairs in Leeds, and we’re on hand to speak to you about how we can help, whether its repointing brickwork, repairing flashing or adding a cowl to the chimney. We work all over the city of Leeds, so whichever area you live in and whatever the problem, we can tackle it. With quality uppermost in the job, you can relax knowing that we will deliver, and at the right price. We're here to help and, with over 30 years experience, you're assured of a good, fairly priced job. So why not give us a call today on Leeds 0113 370 9095.